The National LGBT Federation (NXF) calls on the LGBT+ community and allies to join them at the Russian Embassy in Dublin today from 17:00 to 19:00 to protest the Russian Government’s inaction on the atrocities against gay men in Chechnya. With approximately 1,000 people registered on Facebook to attend the event, the NXF say that even if a fraction of that number attended, it would be a record-breaking turnout. At least 100 gay men have been reportedly rounded up by police and detained in secret detention centres. There are reports of beatings and torture, and at least 3 have been reportedly killed. Government leaders in both Chechnya and Russia are refusing to acknowledge this is happening. “The religious and socially conservative region of Chechnya is attempting to purge its society of gay men and Russia is so far turning a blind eye and allowing it to happen. “We are protesting at the Russian Embassy because Chechnya is a federal republic of Russia. It has no independent presence on the international stage and it has no diplomatic presence in other countries. 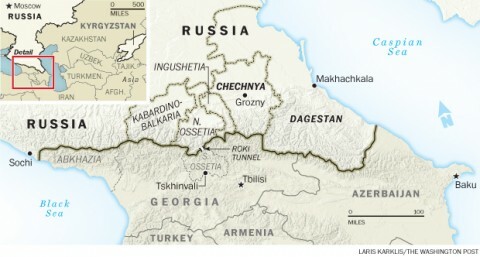 In terms of international relations, Russia speaks for Chechnya. The full address of the Russian Embassy is 186 Orwell Rd, Rathmines Little, Dublin.